LEESBURG — Could Indiana have a second Hoosier be included in President-Elect Donald Trump’s inner circle? Even more so, could it be someone from Leesburg? Politico, an online political magazine, as well as Hoosier Ag Today, Indiana’s Farm Network, both posted today, Wednesday, Nov. 9, that chief executive officer of Tom Farms LLC, Kip Tom is on the list for consideration by Trump for secretary of agriculture. The information from both news agencies come from multiple sources familiar with the transition and from officials with Tom Farms, Inc., Leesburg. Four other Hoosiers, Mike McCloskey, Fair Oaks Farms, Fair Oaks; Ted McKinney, director of the Indiana State Department of Agriculture; Chuck Conner, Benton County, president and CEO of the National Council of Farmer Cooperatives, former U.S. Deputy Secretary of Agriculture from May 2, 2005-Jan. 20, 2009 and acting U.S. Secretary of Agriculture from September. 2007 to Jan. 2008, during the George W. Bush administration; and Don Villwock, president of the Indiana Farm Bureau. Tom was appointed to Trump’s agricultural Advisory Committee on Aug. 16, serving on a 64-member board to pioneer new ideas to strengthen the nation’s agricultural industry and provide support to rural communities. The board member consists of individuals throughout the United States: current and former congressmen, state commissioners of agriculture, state legislators, current and former governors, business leaders, chairmen of agriculture related businesses and commissions, former secretary of the USDA, current and former agribusiness owners, presidents of cattlemen’s associations, ranchers, attorney generals, farmers, agricultural advocates. In November 2015, he received the Agriculture Future of America Leader in Agriculture Award. Tom is a member of the board of directors of the Indiana Economic Development Corporation, appointed by Gov. Mitch Daniels and served under Gov. Mike Pence. He is also involved in several philanthropic organizations that focus on food security issues domestically and globally, traveled to and worked in Afghanistan, Iraq, Kenya, Tanzania and other developing nations. 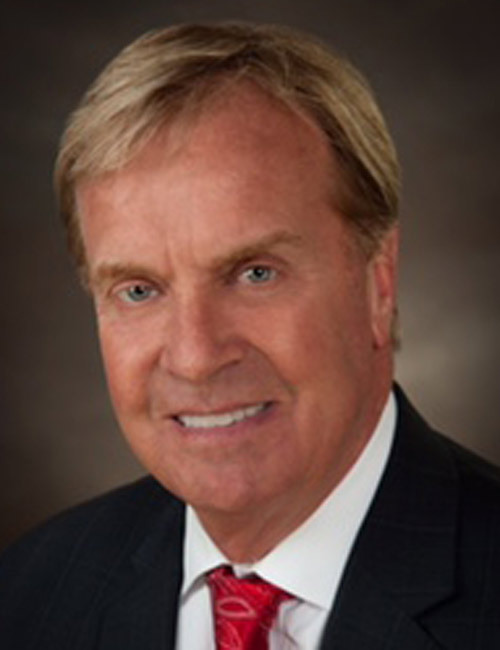 He is a former member of the Indiana Chamber of Commerce Board of Directors. He also serves on the Deans Advisory Council at Purdue University and a member of the National FFA Foundation Board of Trustees. Tom, a life-long resident of Kosciusko County, grew up on his family’s farm in the community his ancestors homesteaded in 1837. He stepped down from running the family business, which he helped grow into an industry leader, to run for U.S. Congress District 3. He lost that bid to U.S. Representative District 3-elect Jim Banks in the May primary. Tom Farms is one of the larger seed producers and has provided in the past products and services to various other Indiana companies such as Red Gold and Weaver Popcorn. Other names being considered are Texas Secretary of Agriculture Sid Miller; Kansas Gov. Sam Brownback; Nebraska Gov. Dave Heineman; former Georgia Gov. Sonny Perdue; former Texas Gov. Rick Perry; Charles Herbster, agribusiness leader; and Bruce Rastetter, Iowa; a major Republican donor.